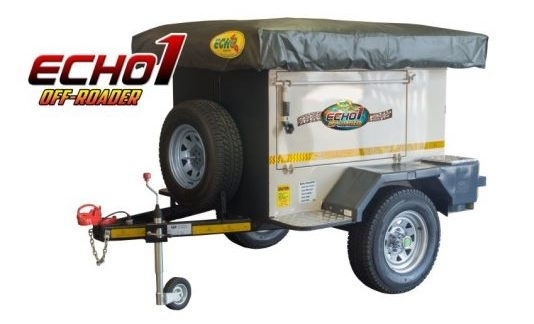 The Echo 1 off-road trailer is the ideal entry level trailer due to its tough design, low price tag and large load body area. Perfect for anyone that needs to transport a lot of gear when travelling. The Echo 1 off-road trailer has been developed to maximize packing space in a compact body.The Echo 1 features container style doors on both left and right sides. These fold down to create a useful working surface. An optional 8 drawer system can be mounted inside to ensure quick access to essential gear. The large swing rear door will also make packing a breeze. The front mounted spare wheel helps balance the trailer for excellent handling on and off road. Further more you can store a gas bottle in each wheel arch.It sports many of the same features as the high end trailers making this trailer great value for money.